This is a great review to go along with earth day coming up. 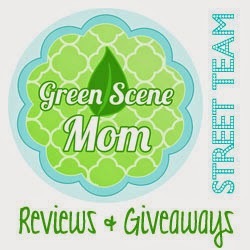 This review is from Green Smart they carry eco friendly sleeves and bags. I was sent their Messanger Bag in the style Puku which retails for $49.95. It comes in 3 different colors and the one shown here is in black. The look of a messenger, but, the access at the top. A full-width rear pocket, two end pockets and a front zip pocket put pockets on all 4 sides before you even open the bag. Under the flap you'll find the organization pocket and inside you'll find a well sized main compartment with a full padded laptop bay as well (fits up to 15.4"). You'll never lose anything again in this compartment rich messenger. 30 plastic bottles were never put to better 2nd life use. The Puku is an antelope found in the wet grasslands of Southern Democratic Republic of Congo and Zambia. When scared, they repeat a shrill whistle sound. Puku are crepuscular, as they are active in the early morning and late afternoon. We name our products after endangered animals. In their support, we donate 10% of profits to non-profit organizations helping to create a greensmart planet. Sustainability means building products that last:That's why we stand behind the quality, craftsmanship and design of every product we make. However, in the unlikely event that you find a defect in materials or workmanship, we will repair or replace the bag. We believe that you don't have to sacrifice good quality for eco-friendliness. Being greensmart means expecting no less. Giving plastic bottles a second life. All fabrics used for the GreenSmart Bottles 2 Bags are derived from 100% recycled plastic bottles. The fabric in this product, both the exterior and interior, are derived from 100% post consumer recycled plastic bottles. This process is the end point for the process which begins with the collection of bottles, which become ground up, washed to become fiber, spun into yarn and woven into our fabrics. The overall process also uses less energy than making polyester out of virgin chemicals. I love this bag it has so many different pockets to use. It is perfect for me when i bring my lap top on location to photo shoots while I am taking photos. It makes my experience complete. I would recommend this bag and their products to everyone what a awesome to be apart of. I received this item for review purposes. My opinions are hones and i was not paid for this review.